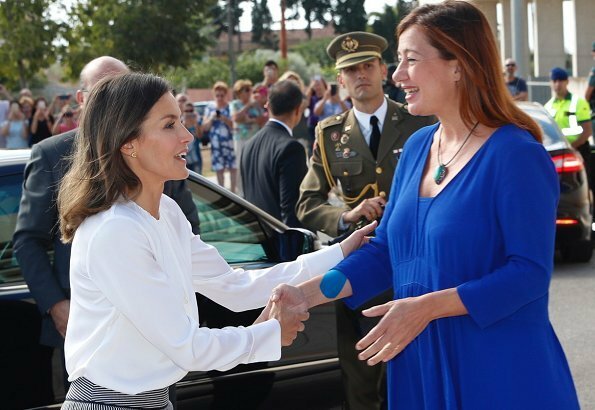 On September 27, 2018, Queen Letizia of Spain presided over the opening ceremony of 2018/2019 Professional Training Course at CIFP Son Llebre in Marratxí (Mallorca). 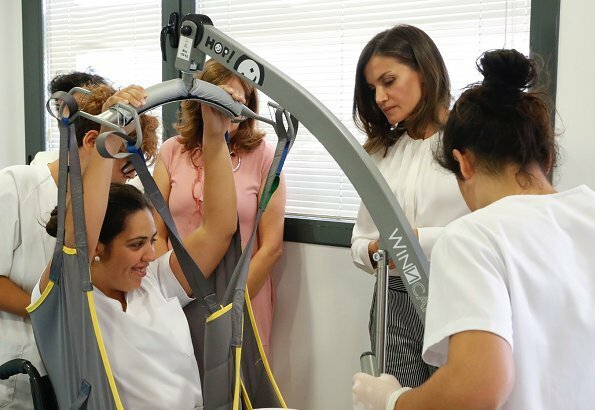 CIFP Son Llebre in Marratxí, is a vocational education training centre that is aimed at students, who are interested in taking courses on health and social care, with the intention to work mainly with disabled people or groups at risk of social exclusion. I don't know if I would have chosen this slacks, the blouse is nice. Stylish and practical at the same time. El pantalón liso mejor no me gustan esas rayas, lo demás sobre una camisa..
She looks great. 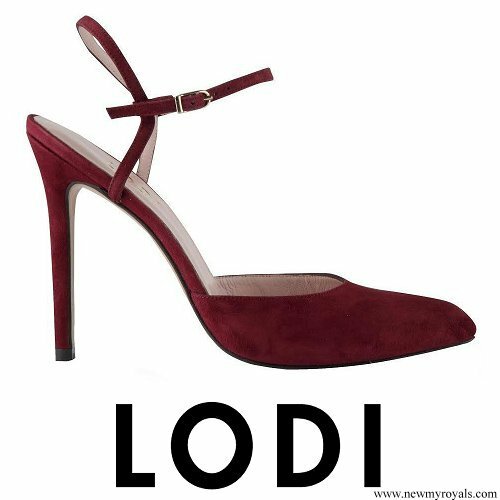 Love the slacks and top, and the shoe color is the perfect touch. Another win for Letizia! Another hit for the queen. Love the pants, balanced with a demure blouse and spiced up with the red shoes. The bests part is how involved she looked amongst the students!! Worthy cause and wonderful of Q Letizia to show interest in it. She looks very elegant and lovely in white and grey. 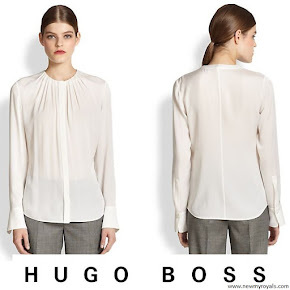 She has worn Hugo Boss outfits so often lately. Letizia saber ser clásica con la bonita blusa blanca y al mismo tiempo, moderna y estilosa con ese fantástico pantalón de rayas y los zapatos granates que son FABULOSOS. 10/10. The stripes on the pants played havoc with the cameras, but this ensemble is quite similar to the one she wore to another school event last year. As usual, the fit is perfect, and not too fussy to meet with the young people. Beautiful girls. Hopefully they were inspired to stay focused on their studies. Otras se ponen broches de escarabajos y arañas o se enroscan una langosta al cuello... Hasta otra, rosita disimulada.